» FFVI: Was That a Bad Person? FFVI: Was That a Bad Person? 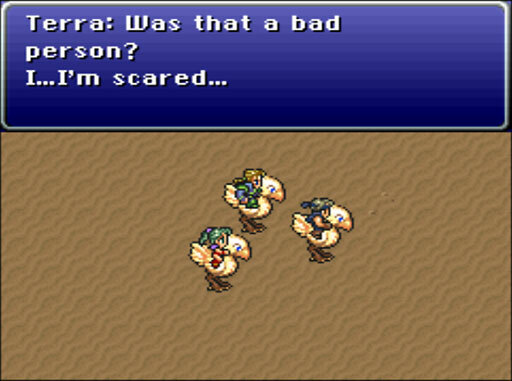 Terra can’t remember her past, but she clearly is creeped out by Kefka. Then again, who wouldn’t be?